There are 36 posts tagged Forest definition (this is page 1 of 3). 21 March was International Day of Forests. The theme this year, chosen by the UN Food and Agriculture Organisation was “Forests | Climate | Change”. FAO explains that this theme was chosen “purposely to highlight the ways in which forests and climate change are linked, and to rally global support for greater action and change”. The Warsaw decision on national forest monitoring systems allows governments to decide for themselves how they define “forests”. A better way of undermining what little legitimacy REDD had is difficult to imagine. 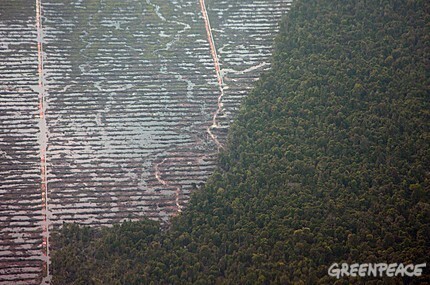 There is much to criticise in Indonesia’s moratorium on new forestry concessions. Many of these criticisms have been put forward in previous posts on REDD-Monitor (here, here and here). A recent briefing from the Center for International Forestry Research (CIFOR) points out serious flaws with the moratorium and then makes suggestions for improving it. Yesterday, Indonesia’s President, Susilo Bambang Yudhoyono, promised that he would “dedicate the last three years of my term as President to deliver enduring results that will sustain and enhance the environment and forests of Indonesia”.